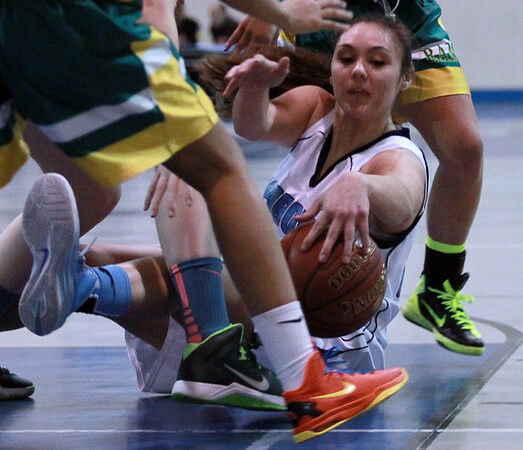 Peabody senior captain Danielle Sullivan dives on the floor to try and win a loose ball against Lynn Classical on Friday evening. DAVID LE/Staff photo. 12/19/14.